Heat oven to 450°F. Line cookie sheet with foil or cooking parchment paper. Place frozen potatoes on cookie sheet. Bake as directed on bag. 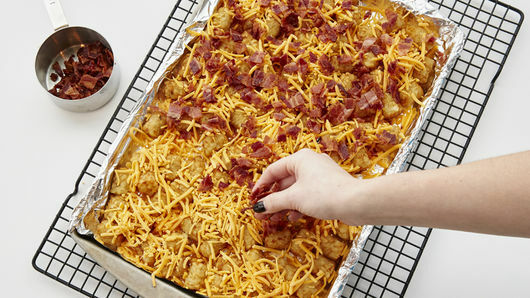 Sprinkle potatoes with cheese and bacon. Bake 3 to 5 minutes longer or just until cheese is melted. Top with green onions, and drizzle with ranch dressing. Serve. 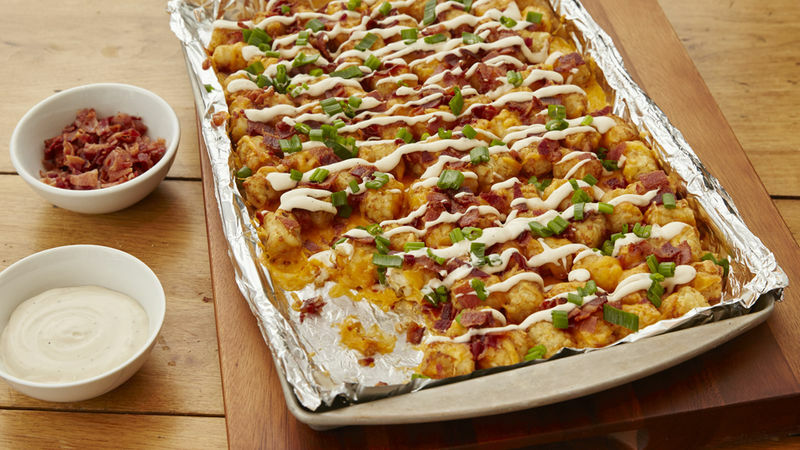 Baking before adding toppings helps keep the potatoes crispy. For a flavor twist, try switching out the Cheddar cheese for Colby Jack or Pepper Jack.